EarthSafe's TuffTrak is the ultimate ground protection solution, bearing loads up to 300,000 lbs*. 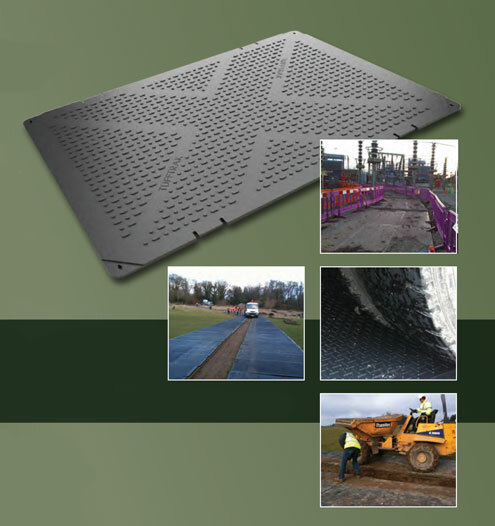 TuffTrak heavy-duty access mats provide temporary roadways and access for machinery and vehicles. 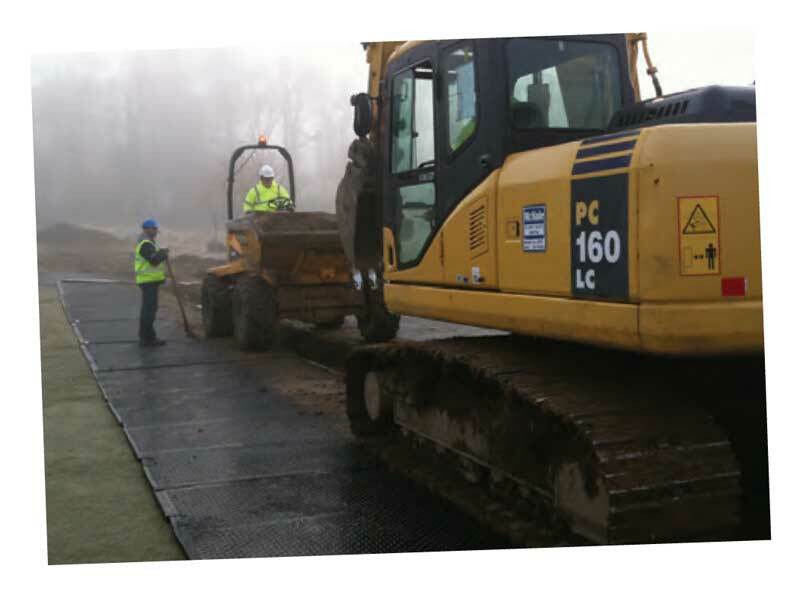 TuffTrak mats are ideal for construction applications as well as large outdoor events where ground protection is a concern. TuffTrak mats are easy to install, with a simple "drop in" bolt connection system. A variety of optional connectors, including unique high tensile "flex" straps, provide increased safety and maximum stability. The unique, mud-dispersing grip-surface is the most effective on the market and is ideal when the weather or ground conditions deteriorate. * Load performance depends on ground conditions as well as the weight and types of vehicles used.